Tommy in Service Dress Cap resting on arms reversed. 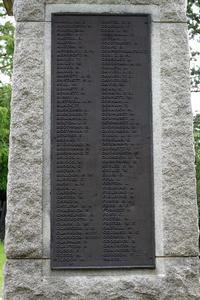 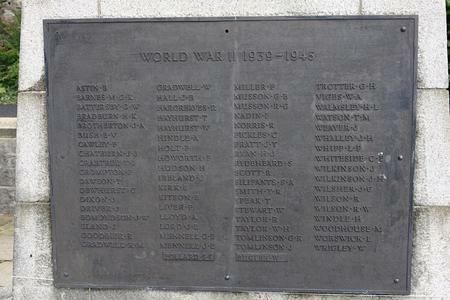 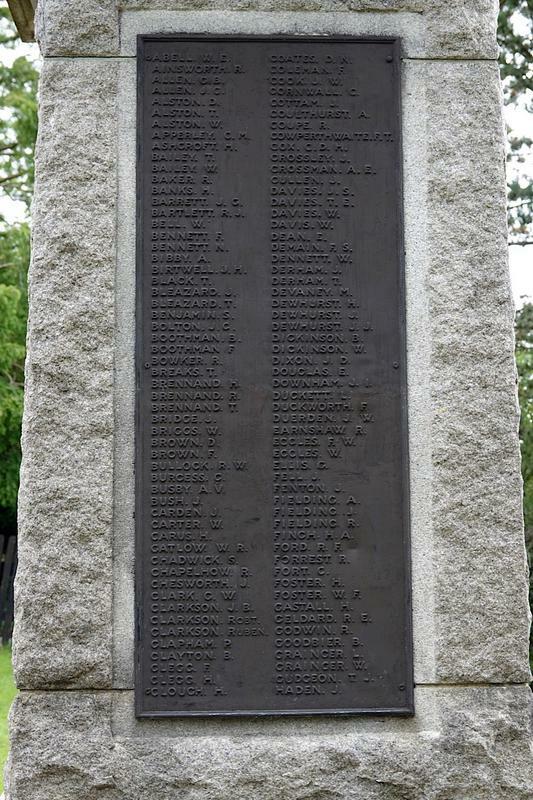 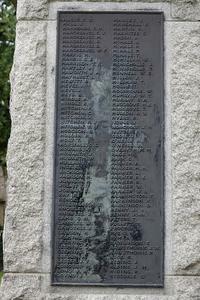 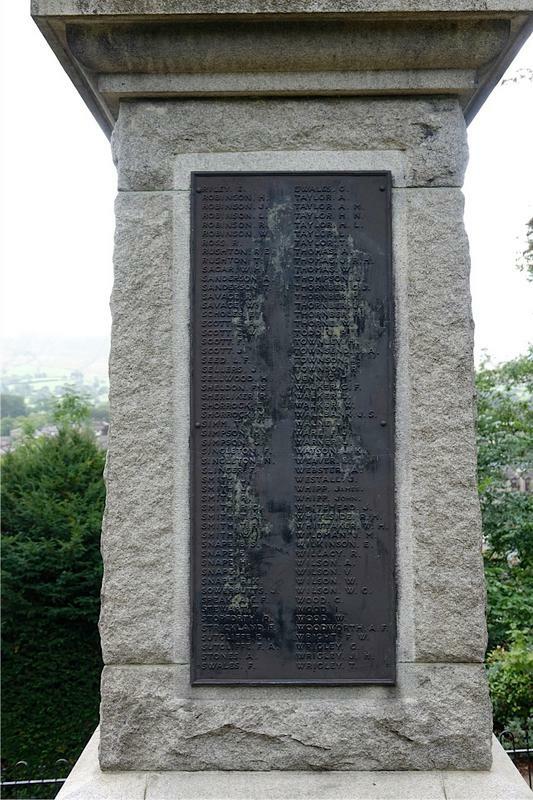 A bronze plaque beneath the carved inscription carries the names of the fallen of WW2. 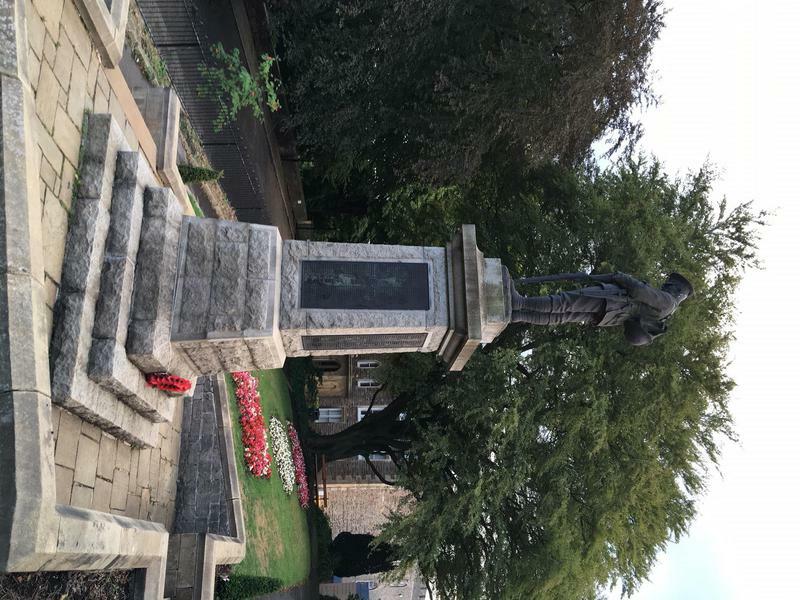 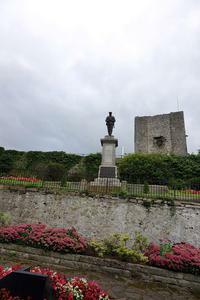 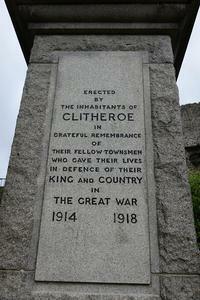 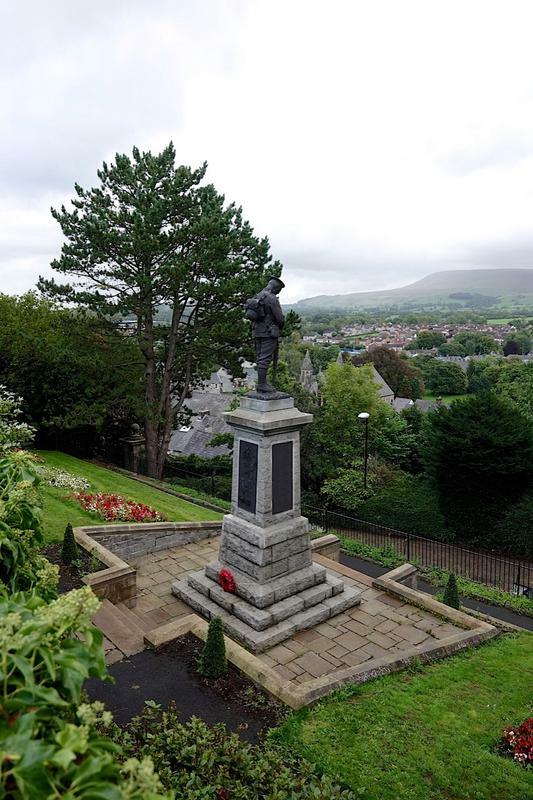 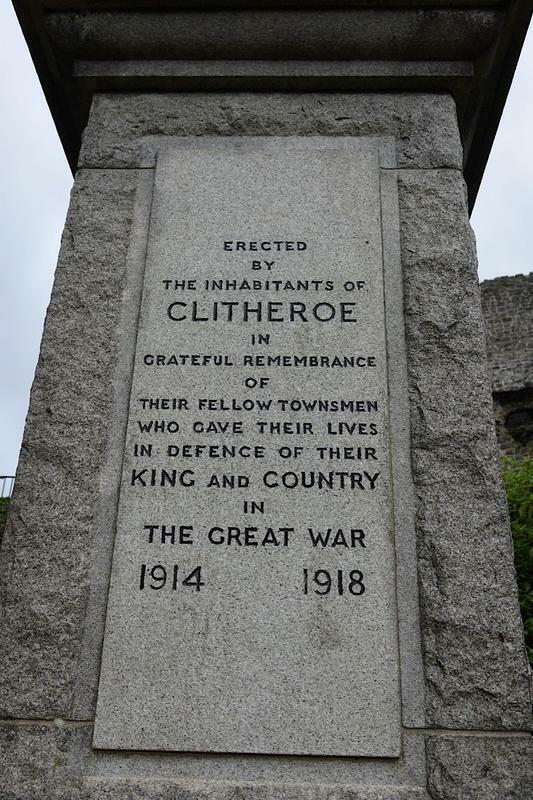 ERECTED/ BY/ THE INHABITANTS OF/ CLITHEROE/ IN/ GRATEFUL REMEMBRANCE /OF/ THEIR FELLOW TOWNSMEN/ WHO GAVE THEIR LIVES/ IN DEFENCE OF THEIR/ KING AND COUNTRY/ IN/ THE GREAT WAR/ 1914 1918.